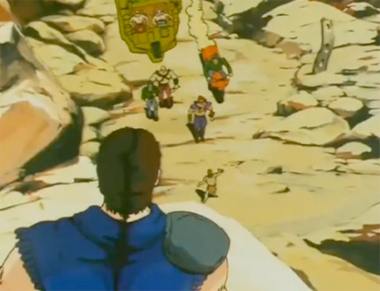 The series plays out as a combination of MadMax/Roadwarrior and every Bruce Lee film ever made. 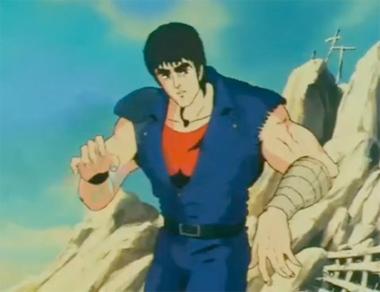 It's the grand-daddy of all fighting games, and EVERY fighting game ever made usually has a Bruce Lee character and a Kenshiro(ish) character. He's usually the stone-faced Sylvester-Stallone-parody big-guy who has some 100-fist superpunch or can shoot beams of power from his hands. The show's relentless parade of increasingly absurd villains, over-the-top macho dialogue, and jaw-droppingly outrageous martial arts violence will horrify some, thrill some, and send still others into fits of uncontrollable laughter. 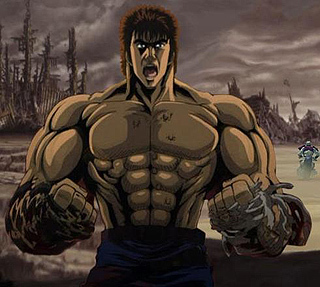 Fans of action anime, splatter horror, grindhouse thrillers, camp melodrama, and most especially those who love the more wild examples of martial arts film, will find Fist of the North Star to be a feast of unique entertainment. 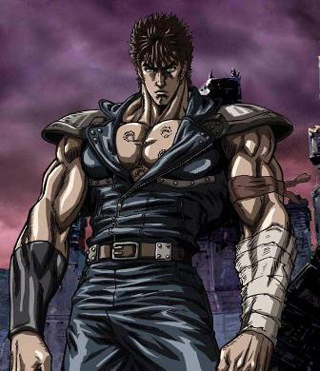 Kenshiro's catchphrase "Omae wa mo shinderu" (you are already dead) became a fan-favorite (and it is often heard just before someone's head explodes in a gorefest that is (thankfully) often shown in high-contrast black and white (to save lots of lots of cel-painting); and really, all you need do is put this show into Google to see how incredibly popular it is. There's 2 TV series, several movies, live-action movies (even an American adaptation), and several spinoffs! 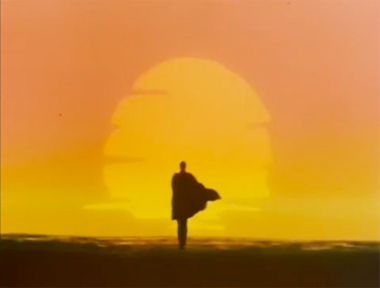 For those of you who've never heard of it however, it's basically a martial arts mad max movie -- in a destroyed, post-apocalyptic world of deserts and ruins, an invincible hero walks out of the wasteland, seeking justice and revenge. Along the way, he picks up some comedy-relief sidekicks and annihilates his way across the devastation in search of his lost love and his equally undefeatable rival. 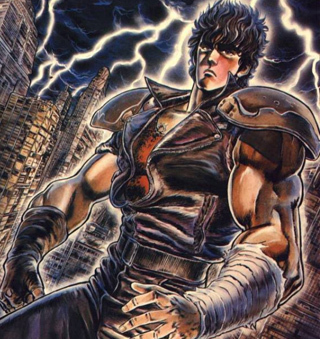 From the opening guitar crash of the heavy-metal theme song to the final fight to the death, Fist of the North Star delivers the most twisted, insane look at why anime rules above the rest; it holds nothing back and delivers an intensity not experienced by anything else. One look will tell you that this is something different. And you'll either react with revulsion or glee. 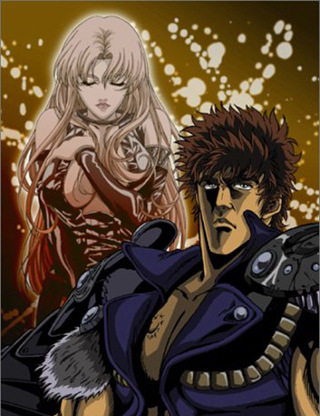 Or if you're like me, you'll find this to be one of the greatest anime series ever made. Because anyone who can make people's heads explode just by hitting them on secret pressure points makes for the coolest TV series, animated or otherwise, that has ever graced the glowing screen. 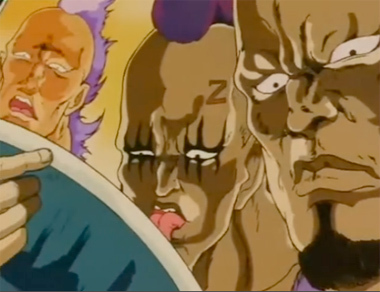 Below: Scenes from the original Fist of the North Star anime series. 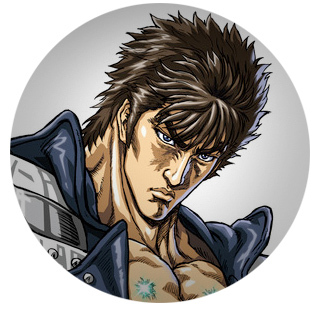 Below: Don't mess with Kenshiro!